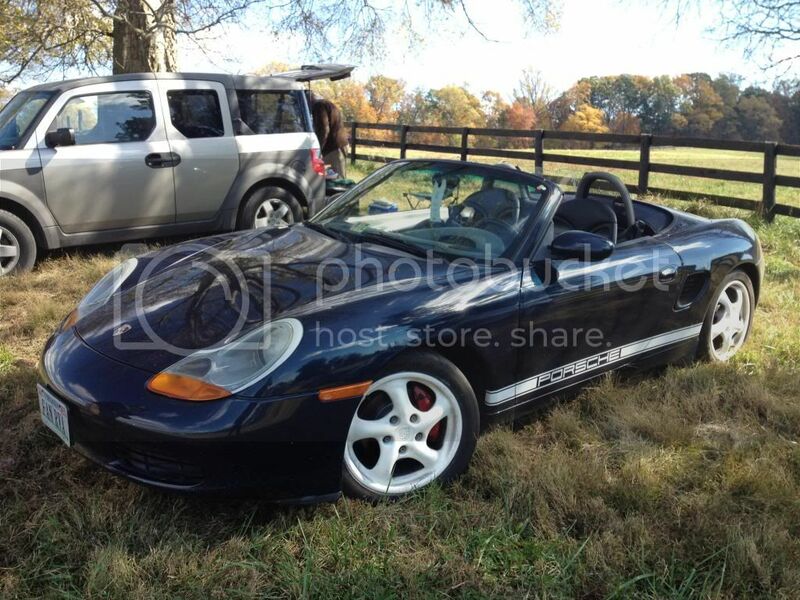 So I'm trying to pull off a little bit of a throw back / 356 look with the Boxster. This week I threw in a red interior to replace my worn out gray interior and I dyed the carpet charcoal (which I'm still working on). 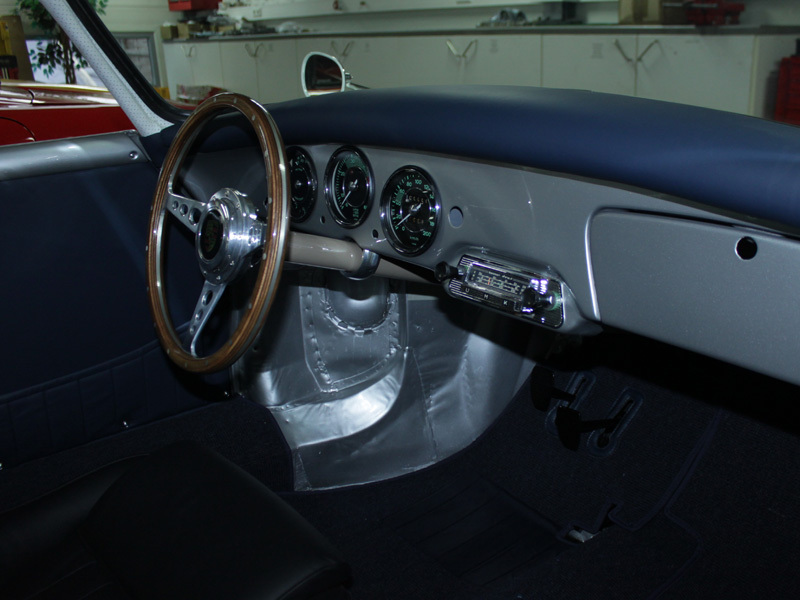 I love the colored dash look, like the 356's had, I started with white which I think looks...OK and I have Porsche Ocean blue which I'm going to try next. What do you think, blue or white interior accidents. Or have I just completely missed the boat. Nice...how hard is it to keep white wheels clean? IMO progress looks good. I like the white interior pieces. With that, I think chrome or silver accents would be good on small pieces like interior door handles & the shift knob. Last edited by 78F350; 05-28-2015 at 06:31 AM. Last edited by BRAN; 05-28-2015 at 05:21 AM. Interesting, I like it! I never would have thought of that. The trim piece should make that doable without too much work. I like the seats. What are they? 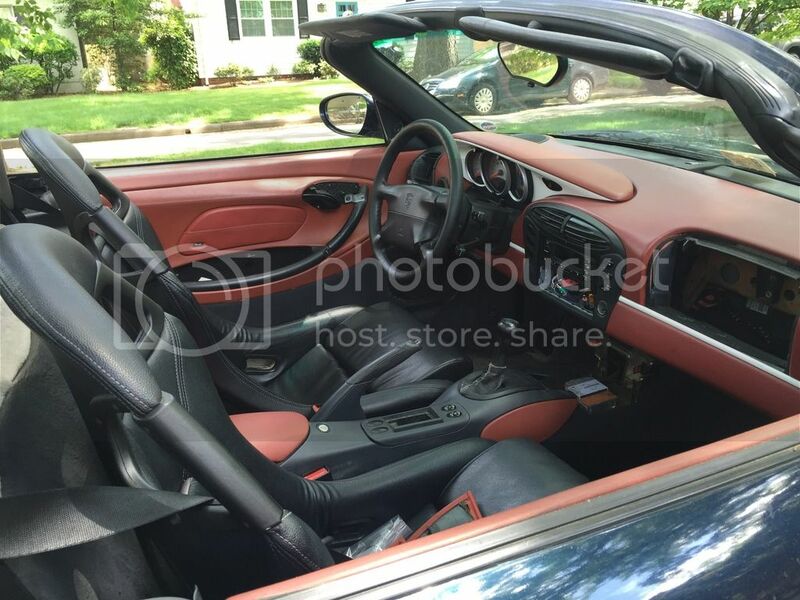 It's a little too eclectic for my taste, but I think the "Boxster red" interior is throwing me off a little. Is there any way I can get you to take a better shot of the gauge pod? I considered painting the face of the gauge pod white also and would like to see it straight on. 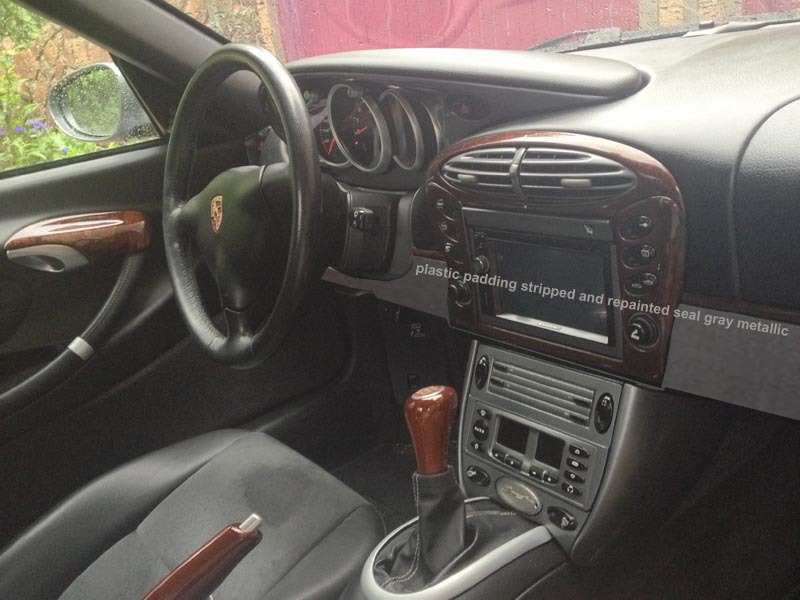 I have a 2000 Boxster and the interior has been sun damaged and peeling badly. I would love to know how you did this.